Bowing walls can be found in Atlanta homes in need of foundation repair. They are often accompanied by cracks, especially horizontal ones, and possibly water damage. Many homeowners attempt to brace the wall themselves in order to keep the wall from bowing further or collapsing, but simply bracing a bowing wall – especially when done by an amateur – will not solve the underlying problem. Bowing walls are caused by shifting and expanding soil around the foundation of your home. When your home has inadequate drainage, water tends to pool near your foundation and soak into the soil. Then, the soil expands, putting excess pressure on your walls and causing them to bow in the middle. Bowing walls in Atlanta may also be caused by settling soil under your foundation, which causes the foundation itself to shift and crack. Atlas Piers of Atlanta is available for all of your bowing wall repair needs. Bowing walls are commonly repaired by the installation of helical piers. Atlas Piers uses high quality ECP helical piers. 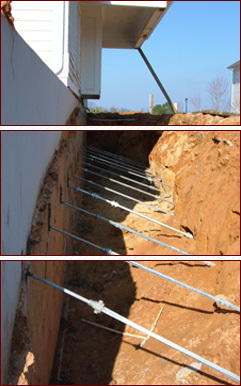 Helical piers are long rods that are installed in the soil around your foundation and against your foundation wall. These piers will help support and correct your bowing wall. Carbon fiber strips can also be used to repair bowing walls. These strips can be installed easily with very little mess and are quickly replacing the old method of steel-rod reinforcement for bowing wall repairs in Atlanta. They are an eco-friendly way of adding much needed support to your bowing walls in Georgia. 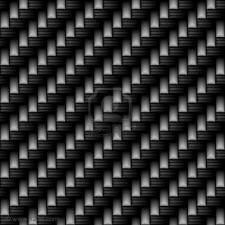 These carbon fiber strips can support thousands of pounds and are very durable. Atlas Piers installs carbon fiber strips with a high strength epoxy. They can even be painted over and are nearly invisible on your wall. Carbon fiber strips also require no maintenance from you or Atlas Piers. These will correct your walls quickly and leave you free to worry about more important matters. If you have bowing walls in your home, contact Atlas Piers today.